Search Results for "pile of papers"
Middle shot of elegant adult man in suit standing in front of mirror in hotel room and rehearsing public speech holding pile of papers. 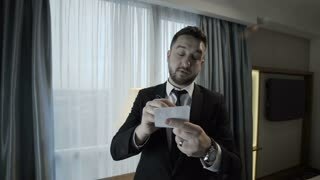 Elegant bearded man in suit standing in front of mirror in hotel room and rehearsing public speech holding pile of papers. Crop shot of elegant adult man in suit standing in front of mirror in hotel room and rehearsing public speech holding pile of papers. Engineering tools and papers. 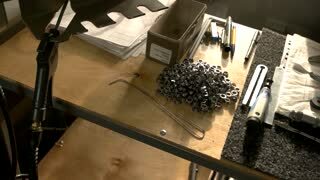 Pile of steel washers. Start a new project. Papers and engineering tools. Steel washers pile. Big things have small beginnings. A tired employee is sitting in a pile of papers in his office. During work, the office worker is experiencing difficulties. A young man is busy analyzing the papers in his office. Young businessman hid behind with stack papers. a huge pile of papers scattered on the table. paper work young man with glasses. An office employee can not cope with the number of documents. A young tired man is sitting in a pile of papers, signing many documents. 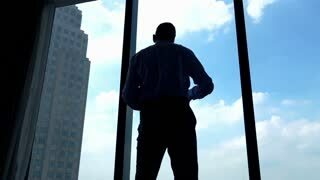 Depression of the employee because of the mountain of documents. A tired employee is sitting in a pile of papers in his office. A pile of papers burns in a close-up shot of a camp fire. A businessman shuffles through a pile of papers. A young tired man in glasses sits in a pile of papers and signs documents. He has hours on his arm, he is tired and worried because of the number of documents. An office employee can not cope with the number of documents. A young tired man is sitting in a pile of papers, signing many documents. Hands with sheets are drawn to it. A young tired man in glasses sits in a pile of papers and holds his head. Due to the number of documents, an office worker can not cope with work and worries. An office employee can not cope with the number of documents. A young tired person sits in a pile of papers, sorts out a lot of documents and does not have time on time. UNITED STATES: 1960s: boy in office. Man and girl pile up papers from machine. Hand with help word emerges from the pile of papers. Video footage of man who asks for help at work. United States 1950s. Person writes name and address on paper. Pages dropped into pile. Papers filed away in drawer. Angry and upset young man sitting at the workplace in front of a pile of crumpled papers. Sad businessman in frustration. 1960s: UNITED STATES: man sits at desk with feet up. Papers pile up on desk. 1940s: Man sorts papers on work desk. Letters in pile. Man at desk puts on glasses, picks up letter, smiles, opens letter. Hands unfold letter. 1950s: metal bars roll off pile on work horse, drops onto the floor into chains and hook. men in suits read and pass around papers in office. Papers scraps falling from a shredder, composited and tinted different colors: red, green and blue. Blue shreds pile up and then reverse up, out of shot. Looping clip. Dolly across cluttered desk in messy office with piles of files.